The Saga Humane Society is concerned about the increasing number of exotic animals being held as domestic pets. 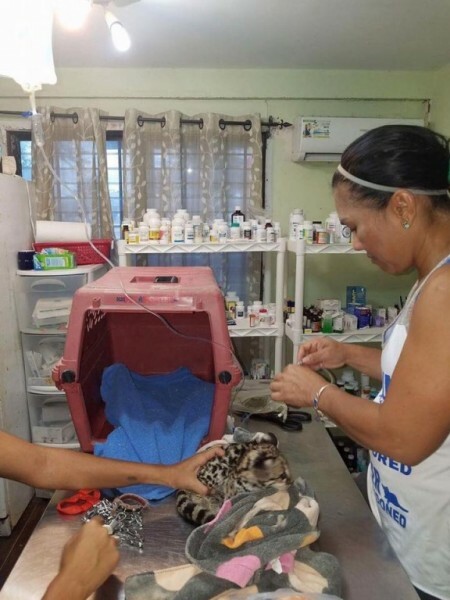 On Thursday, June 1st, local business owner Tammy Lemus purchased a baby Margay cat, which was in the possession of young children, and turned it in to Saga for veterinary treatment and delivery to the proper wildlife authorities. The baby Margay had a collar tightly around its neck, which Veterinarian Assistant Ingrid Lima safely removed. Lima indicated that the cat would not have survived in captivity, as Margays are vulnerable to humans. 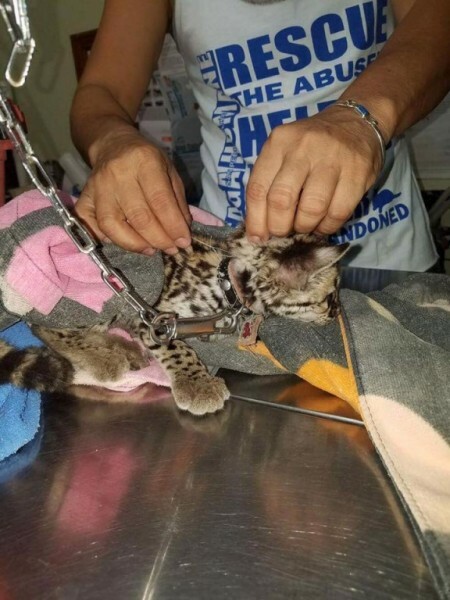 Lima then administered vital fluids, and fed the hungry kitten before making arrangements to send it to the Belize Wildlife Referral Clinic (BWRC) on the mainland. 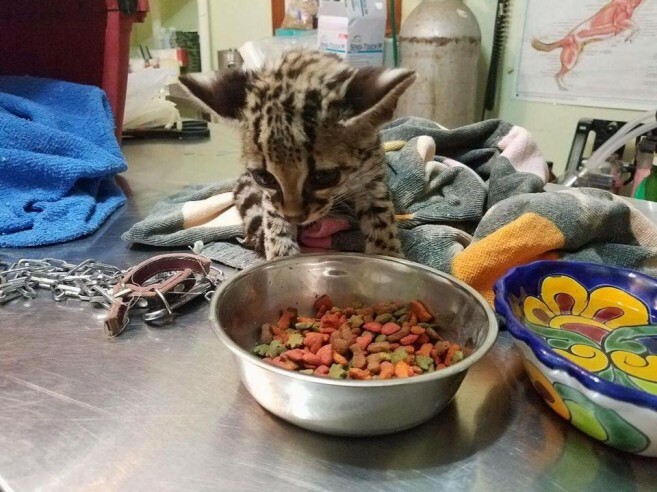 According to Dr. Isabelle Paquet-Durand, CEO and founder of the BWRC, the Margay is doing much better, and has gained weight. The BWRC is hoping to release it back into the wild as soon as it becomes a sub-adult. Margays have been listed as an endangered species since 2008 under the International Union for Conservation of Nature. The remaining Margay populations are thought to be declining due to loss of habitat, and thus, Saga reiterates that wild animals are not house pets, and need to remain in the wild. “We need to allow wild creatures to live uncompromised in their native environments. Let wildlife remain wild,” said Lima. Saga reminds the public that interfering in any way with native wildlife is illegal and a punishable offense. According to the Belize Wildlife Protection Act Revised Edition 2000, it is against the laws of Belize to keep any wild animal as a pet. “Wildlife” means all undomesticated mammals, birds and reptiles and all parts, eggs and nests of any of these wildlife forms. Possession of any wildlife without a permit from the Belize Forest Department can result in imprisonment or fines equivalent to the offense committed. Keeping a Margay in captivity is not only illegal, but it is also dangerous to the health and well-being of its caretaker and family. Durand stated that wild animals can harbor certain diseases that can be transmitted to humans and vice versa. “People don’t recognize the risks of keeping wildlife as pets until the person finds out the possible diseases that can be transmitted by wild animals. A lot of knowledge and expensive care is required to keep wildlife healthy and avoid disease transmission,” said Durand.